the newest release from CHANEL make up range landed in my basket by mistake (Of course, Lauren, By mistake). 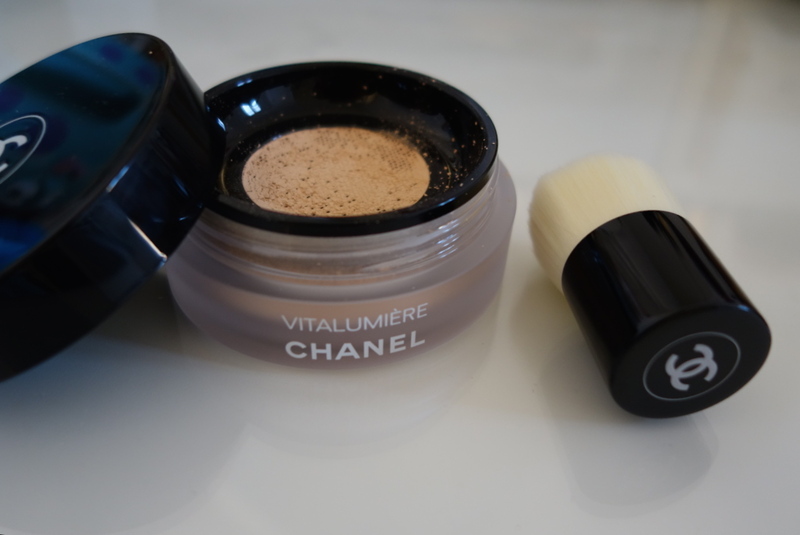 Ok, I have been willing to try this foundation as soon as I heard about it, for two main reasons: I use their loose setting powder on a daily basis (mainly when I have to do my Make up to go to work) and i love it… and also, I had to get rid of two (and only) liquid foundations because they were old, and I don’t use foundation on a daily basis because It is simply to heavy, and I don’t like to feel something on my face all day, even the lightest of the BB cream, I don’t know how to explain, I like it, but not on a daily basis all over. 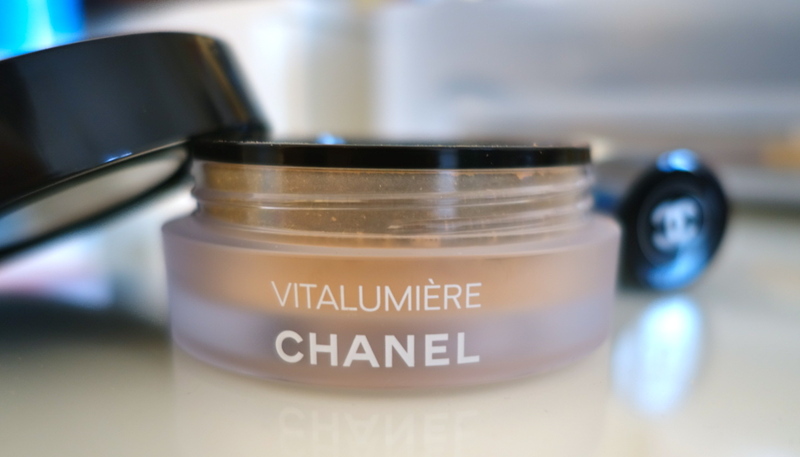 Well When I heard about a loose powder foundation, from CHANEL, most of the requirement were set for me to actually try it. 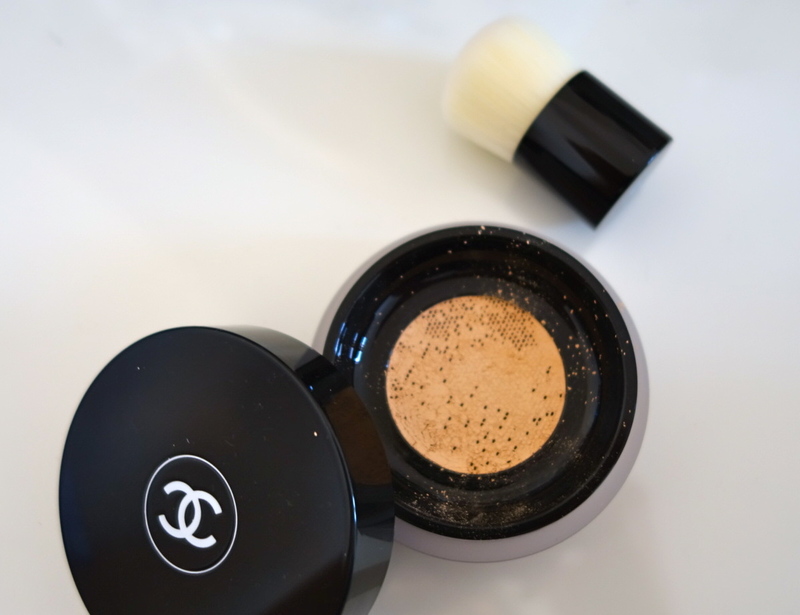 The concept of a powder foundation is really tempting as it doesn’t feel as heavy on the skin. And this foundation expecially, a little goes a long way, literally two dabs of this powder with the Kabuki is enough for my entire face, the first time i swatched this i came to the conclusion that this foundation is very beautiful, the finish is flawless.. Just one piece of advise for my girls with sensitive skin out there, don’t get fooled by the tester, this foundation has perfume in it (the same fragrance we can find in the Vitalumiere Aqua) I didn’t notice it breaking me out yet, however this can be a problem if your skin is sensitive. Getting the right color for your skin tone may be scary at first sight, as very few color selection is available, though the coverage is light enough that you can get away with a shade darker or lighter, then again for very dark skin colors, getting your perfect color might potentially be a problem. When it comes to the finish of the powder of the skin as well as the coverage, it is just phenomenal, a little of powder goes a long way, staying in place all day, beautiful natural finish that lasts in the setting of a 8 hour day at work for example. The finish does not change too much as the day goes. One of the downfall of this foundation is also its price, but don’t forget a small kabuki brush is included, the size of the head of this brush is equivalent to the size of the BOBBI BROWN full coverage foundation brush which retails for 46 euros on its own. 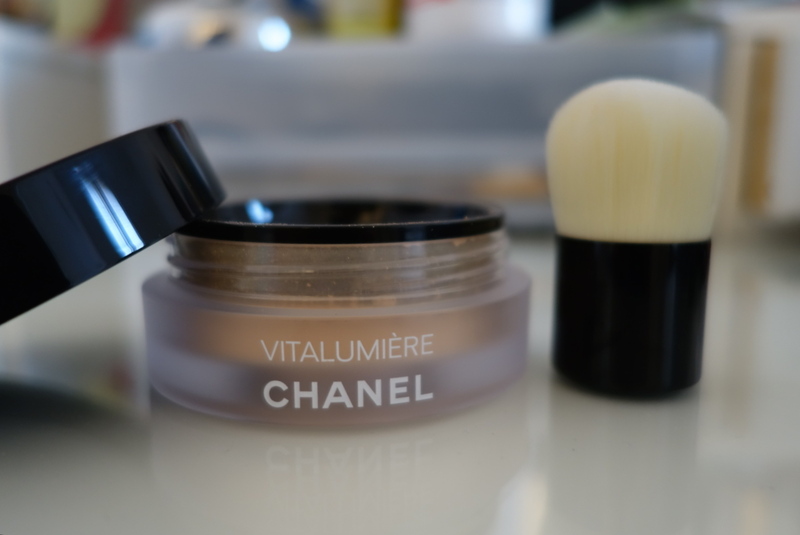 If we work out the price of the such a brush in the CHANEL range, the foundation is not that expensive anymore. The Kabuki is really soft, and cute, and works wonder with this powder. There is 10g or 0,35 oz of product in this packaging, but knowing a little really goes a long way and the packaging is made so that you don’t actually waste product, this is a good size. My Final thoughts on this foundation is that this is a nice treat for yourself, exceptially knowing a soft Kabuki is included. The finish is gorgeous, but if you are sensitive to perfume in cosmetics in general try it out before buying it. I hope this review was useful, let me know what you think about this product. I love this product! Although i have verry sensitve skin, no brake out yet! And it last all day! I Know same here! Its so good.. Expensive but very worth it !!! and thus far? I amazed with the research you made to make this actual post incredible. message home a little bit, however other than that, that is great blog. Wonderful blog! Do you possess any tips for aspiring writers? are plenty of choices around that I’m completely overwhelmed ..
Any recommendations? Thanks a good deal! I blog quite often and I truly thank you for your content. This great article has truly peaked my interest. I will book mark your website and keep checking for new information about once a week. I opted in for your RSS feed too.